If you have ever gone for a swim in a lake and later found your arms and legs covered in red itchy welts resembling mosquito bites, it is quite likely that you have encounter parasites related to the one being featured today. 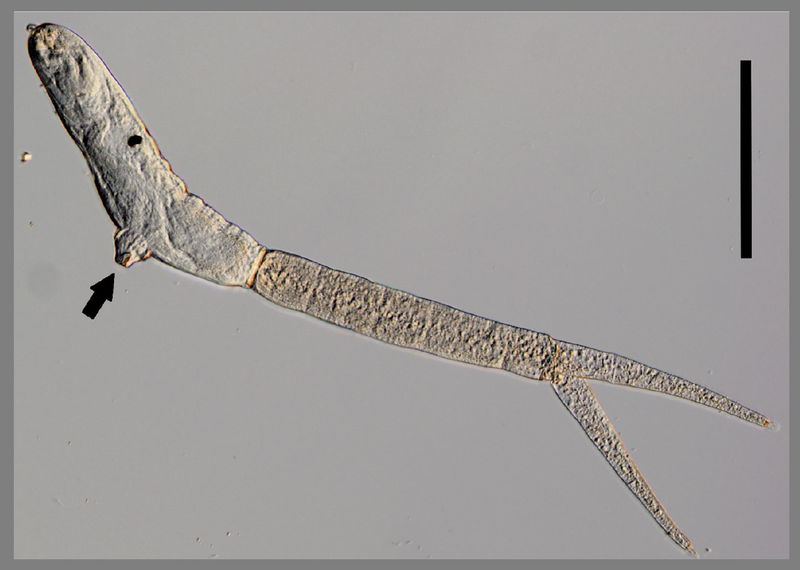 Trichobilharzia szidati is an avian blood fluke, and it has relatives living all over the world in both freshwater and marine environments. While they usually infect waterbirds like duck, they are not very good at telling birds apart from humans. To them, any warm-blooded terrestrial vertebrate animal is fair game, which is rather unfortunate for both humans and flukes alike - more so for them than us. As a result of this encounter, we end up covered in intensely itchy spots, but getting under the skin of a human means immediate death for such flukes. So why is that the case? Blood flukes are masterful molecular mimics - they are able to disguise themselves with proteins that resembles the host's own molecules, allowing them to stealthily sneak pass the host's immune system. But Trichobilharzia szidati and similar avian blood flukes have evolved to bypass the immune system of birds, and when it encounters a mammalian immune systems like ours - all bets are off. Our immune system takes immediate action against this intruder with extreme prejudice, which results in an inflammatory reaction that manifest itself as "duck itch" or "swimmer's itch". But aside from getting inside the circulatory systems of ducks or giving us a nasty itch, it seems that trematode larvae like those of T.szidati are also making a contribution to the environment which usually get overlooked. As a part of their lifecycle, parasitic flukes turn snails into parasite factories - churning out a continuous stream of free-swimming parasite larvae called cercariae, which in the case of T. szidati is the stage that infects birds and cause us temporary grief. But most of these cercariae don't actually end up infecting a bird or getting (and dying) under the skin of an unsuspecting human swimmer. The majority of them end up entering the food web as food for a range of other animals. To aquatic insects and fish, the swimming parasite larvae is simply another tasty morsel. Alternatively, the cercariae simply use up their limited energy reserves and expire, becoming food for all manner of scavengers and detritivores. So how much food is being provided by these tiny parasite larvae? In the study being featured today, scientists collected some T. szidati-infected snails from a fish pond in Czech Republic and made daily observations on the amount of cercariae they were pumping into the environment. The noticed that most cercariae came streaming out upon first light in the morning, in order to coincide with the daily routine of the bird host, then dwindled as the day went by. But throughout the day, it adds to to hundreds and thousands of larvae. When they conducted the first set of observations in April, they found that on average infected snails were releasing about 1000 cercariae per day, with a maximum of over 4500. However, when they made another series of observation again in September, the average daily output was ten times that of the snails they studied in April, with a maximum output of almost 30000 cercariae per snail per day. It is worth noting that while they made four sets of observations for the April sample, only one set was conducted during September, which means the sample could have be skewed by an unusual sample. 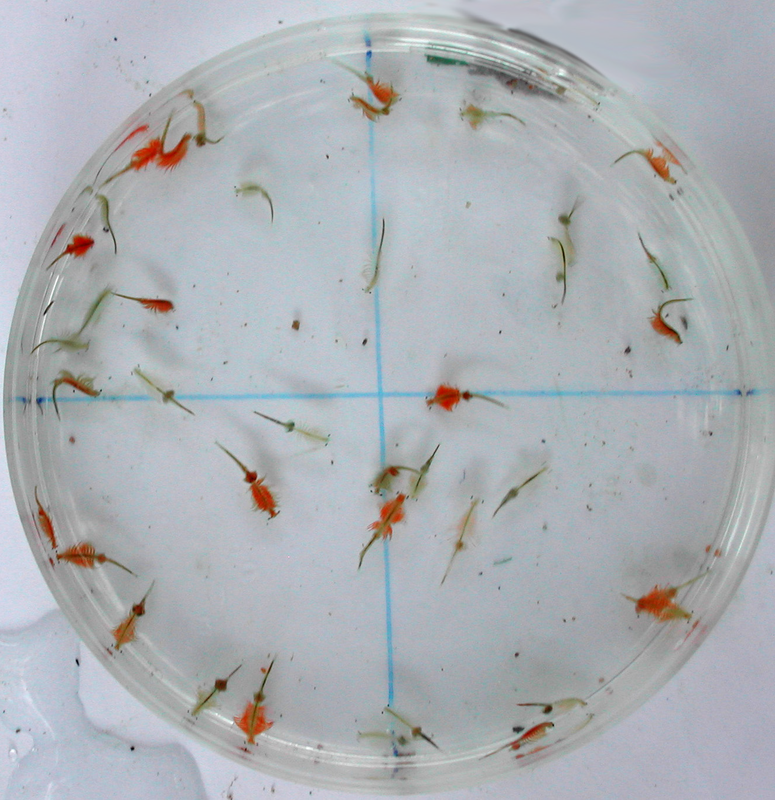 Additionally, the snails in the September sample were larger than those from April, and larger hosts are usually able to produce more parasite larvae. But these are the kind of seasonal and individual variations which would have exist in the natural environment anyway. Since each infect snails are releasing thousands of cercariae per day, though they are microscopic, those contributions really adds up. Based on the numbers they obtained from the study, the research estimated that over its lifetime, an infected snail produce as much as its own body mass (or more) in the form of T. szidati larvae. Therefore, in a large fish pond with a relatively low infection prevalence such as 5%, the infected snails would be contributing about a 500 kilograms of biomass per year in the form of T. szidati cercariae. But in some location where almost half the snails are infected at any given period, the yearly output of all these snails can add to to 4.65 tons of parasite larvae, which weighs as much as an Asian elephant. Trichobilharzia szidati and other avian blood flukes do not exist in isolation - the snails they infect can also host an entire communities of other flukes species, some of which have been recorded to churn out even more cercariae than T. szidati. When you put them together, they provide quite a substantial food source for all the aquatic organisms that they share the environment with. These parasitic flukes are the unseen elephant(s) in the pond. Soldánová, M., Selbach, C., & Sures, B. (2016). The Early Worm Catches the Bird? Productivity and Patterns of Trichobilharzia szidati Cercarial Emission from Lymnaea stagnalis. PloS One 11: e0149678.